BBT nv // Blog » New tool online! As most of you already know, BBT is your European VWsunroofs parts distributor for Type 1 and Type 2 -67. 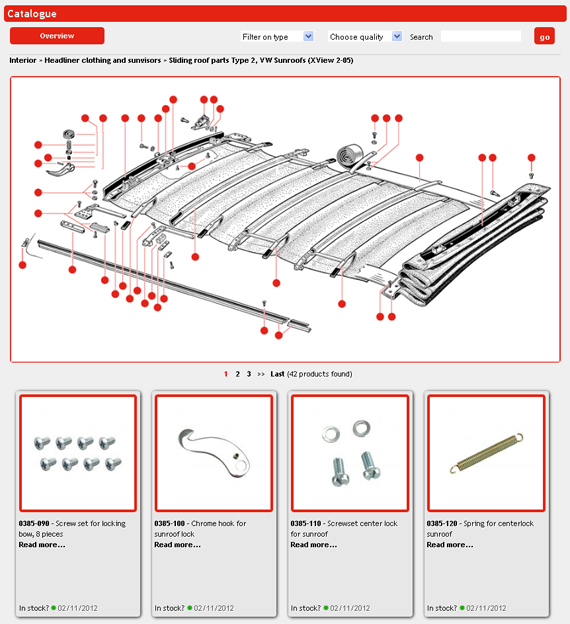 All items do have pictures online to help you to make the right choice and obtain the correct items but, due to the complexity of a sunroof construction, we’ve made an extra tool to assist you. From now on we have these exploded views online and with a simple click on the desired item you’ll get more useful details. Anyway, in case of any doubts of the required item you can always contact us.